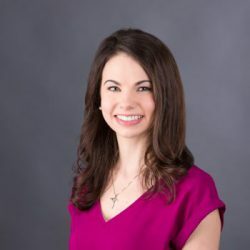 AnnMarie Zuardo is a certified physician assistant who specializes in the detection and treatment of rosacea, warts, skin cancer and more, as well as management of chronic skin conditions including psoriasis and eczema. As a provider, AnnMarie feels very strongly about educating her patients so they understand their skin condition and how the treatment plan will work. Experience was great. Wait time was minimal both in the waiting area and once I entered the exam room. All staff are extremely professional and reassuring. AnnMarie and her staff were great . In and out in 30 minutes. Plus everyone was very nice. Very good experience. Excellent staff!! Only thing I had an issue with, when wanting to talk to my nurse, about something quick, never got a return call. I know they’re busy, but a return call isn’t a lot to ask. This happened last fall (2018). I like that as a patient, I am treated as the customer and not someone that blindly trusts medical advice. I am part of the process and my opinion matters. Great Work!!! I had a wonderful experience and would highly recommend the office to anyone. Thank you! Very caring and attentive to her patients. Was constantly checking on me during my procedure and providing answers to any questions I had during my visit. AnnMarie was wonderful. She did not rush the appointment. She was promptly on time and took the time to throughly explain what was going on. I highly recommend her.